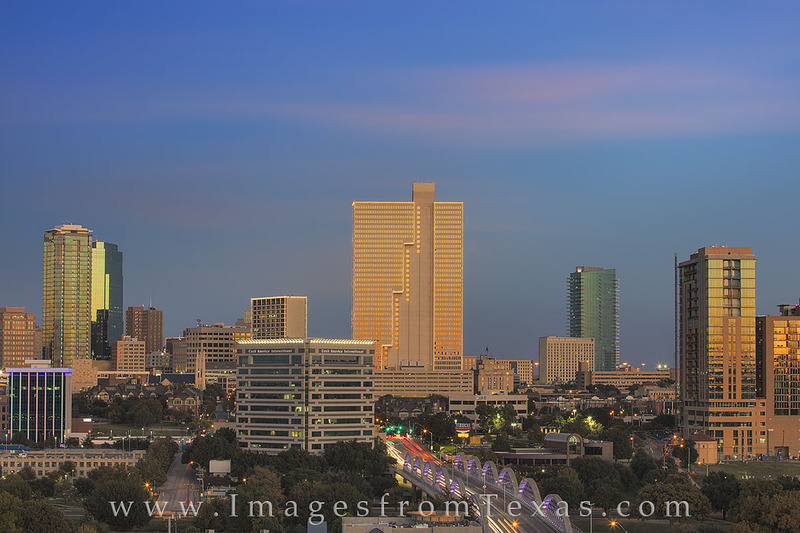 Burnett Plaza is Fort Worth's tallest building at 567 feet high. It was finished in 1983 and is the tallest high rise between Dallas and Los Angeles. This photograph shows the 7th Street Bridge leading to the downtown area on a cool Autumn evening. Photo © copyright by Rob Greebon.